When he issued his “Manifesto” a decade ago, Indiana University’s Richard McFall was unknowingly helping to set the stage for one of the more influential entities in psychological science – the Academy of Psychological Clinical Science, which has risen to become a force for revolutionizing training in psychology and by extension, psychological practice. “The time has come … to declare unequivocally that there is only one legitimate form of clinical psychology: grounded in science, practiced by scientists, and held accountable to the rigorous standards of scientific evidence. Anything less is pseudoscience. McFall credited much of his manifesto to Rotter, who had published similar ideas in the same newsletter, The Clinical Psychologist, in 1971. “Unfortunately, Rotter’s proposal never received the serious consideration it deserved,” McFall says. At least not until 20 years later, when McFall himself revived it. Meanwhile, yet another force was building that would spur efforts to create the Academy: discontent with the existing system of clinical training accreditation. 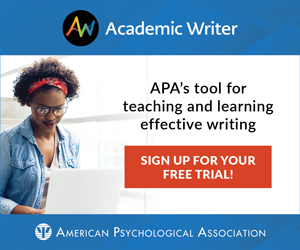 APA had become “increasingly preoccupied with practitioner-oriented issues – licensing, malpractice insurance, promotion of services and so forth – and the science was losing out because science and practice often were at odds,” says McFall. Among the key players in the Summit were McFall, Richard Bootzin of the University of Arizona, and Don C. Fowles of the University of Iowa. Bootzin helped set up the Summit, along with Marilynn Brewer, Emanuel Donchin, Virginia O’Leary, and Richard Weinberg. Fowles and McFall sat on a steering committee charged with drafting an alternative accreditation system, along with Brewer, Donchin, O’Leary, Elizabeth Holloway, and Steve Elliott. The alternative accreditation system reflected concerns about firmly establishing the primacy of a scientific base in clinical training. “Not all clinical training programs were enthusiastic about the alternative,” McFall remembers. “Those of us who felt strongly about the direction clinical psychology should go realized we were not going to drag the whole enterprise along with us.” Instead they discussed “forming our own little subgroup” and “even kicked around names of programs that would be exemplars of the kind of training” they believed in. In 1994, McFall bit the proverbial bullet. Representatives of 35 “exemplar” training programs were invited to a conference he hosted at Indiana University; 25 of them sent representatives. Another steering committee was formed, with McFall as chair, to draft the Academy’s organizational documents, and the following year, the Academy was born in New York City. Its first meeting was held in conjunction with the APS Annual Convention and McFall was elected its first president. Bootzin succeeded him three years later, and Fowles is now incoming president. Since those early days, the Academy has garnered considerable influence over the scientific landscape. Its members are now routinely included as site reviewers for the APA’s Committee on Accreditation. The Academy is responsible for overseeing the clinical track of the program for the APS Annual Convention. It is routinely consulted and advised on policy matters affecting the issues it is most concerned about – by the National Science Foundation, by the National Institute of Mental Health, and others. “We are more recognized,” says Bootzin, the current APCS President, “and we are asked to the table more often on a variety of issues. Our advice is often sought on policy issues that either affect graduate training or help advance psychological clinical science. For example, when NIMH was going through reevaluation a year or so ago, they had a task force that included some of our members. NIMH came to an Academy meeting to give a presentation and solicit suggestions, and a year later gave another presentation about the task force conclusions. Not only are programs reviewed by a committee of peers when they first seek membership, the APCS president says, “We’re about to start reevaluating programs that are already members, because things change in any program. It’s a way of strengthening ourselves.” That practice, he says, is to begin next year. The primary concern of the Academy has always been that in clinical psychology there’s a balance to be struck between trying to advance the knowledge base of the field and applying that knowledge, says Bootzin. Incoming president Fowles agrees. “The internship is a critical part of clinical science training,” the APS Fellow says. “It can all too often happen that students are exposed to clinical science in their graduate curriculum but then clinical science is not supported in their practicum training. We need an integration of the academic and clinical side, not a discontinuity or ‘blown fuse.’ Thus, internship faculty play a crucial role in instilling a clinical science approach to clinical psychology. Atkins’s program seeks to bridge that gap. “I see the Academy as an organization that is ideally suited to support this type of training. The goal of the internship is to promote a scientist-practitioner orientation, with an emphasis on the integration of applied research and clinical practice. In our program, students from Academy graduate programs are more competitive than from programs with less emphasis on scientific training. What’s at stake for both doctoral and internship programs, Bootzin says, is the clear role psychologists must accept as scientists who can knowledgeably inform the new health services environment of cost containment and managed care. What’s next on the Academy’s agenda? “It’s my impression,” says incoming President Fowles, “that APCS is most visible or salient among the representatives of the member programs, and that many other faculty are not involved. It seems timely to try to make contact with those faculty and find out from them what they think we can do to advance the field in important ways. What things do they care about that could be facilitated by organizational support from APCS? In addition to translating “basic” research into improved services for clients, Academy programs are at the forefront of tearing down barriers between “basic” and “clinical” research, which I believe holds the greatest potential in the long run for improving our understanding of, and treatments for, psychological disturbances. Members of the Academy are not “cookie cutter” programs that all look alike. As a result, they are sometimes misunderstood and given a hard time by the APA-driven accreditation process. In forming the Academy, these programs can support each other in a variety of ways, including dealing with accreditation issues. With the caveat that most dichotomies are simplifications, it is my view that providers of mental health services (which, of course, includes clinical psychologists) can be divided into those who believe that the provision of services should be guided by personal experience (what such individuals “know” to be true based on their clinical experience) and those who believe that, in the long run, individuals with psychological disturbances will be best served by services that are informed by scientific research. The Academy, perhaps better than any other organization or group of individuals, represents the latter perspective. Academy programs can be models of how to use psychological science to improve our understanding of, and treatments for, psychological disturbances. Because the Academy is agnostic regarding different types of assessment and therapeutic approaches (other than the desire to let rigorous research point us in the right direction), I hope the Academy can model how to apply scientific methods to study assessment and treatment procedures that have the potential to be examined scientifically, but have not been. Incoming Academy President Don C. Fowles of the University of Iowa, an APS Fellow, says three “overlapping issues” loom large in the coming years. “Our programs were already in a better position to provide better ways of evaluating efforts and program development,” adds current APCS President Richard Bootzin of the University of Arizona, an APS Fellow and Charter Member. “Changes in the health care environment have been challenges for everyone, but they also are an opportunity for many of our programs to strengthen some of the things that were already moving in that direction. “Managed care narrowed the focus and made it much more evidence-based. That required having an evidence base. If you’re going to provide only those interventions demonstrated to be effective in the literature, you need that literature. Our membership helps provide the evidence for more effective applications and better understanding of the problems. In that sense, although it’s a frustration to deal with managed care in many ways, the focus on evidence-based interventions actually supports a major aspect of our program.” It also means the role of psychologists in applied settings should broaden, involving the evaluation of services and possibly even administering programs. 2. Developing guidelines for empirically supported treatments (EST). “On the one hand,” says Fowles, the need for such guidelines “is strongly consistent with clinical science and is easily defended in the context of managed care. On the other hand, such research tends to reify the DSM-IV (fourth edition of the Diagnostic and Statistical Manual), because much of the research validates specific treatments as applied to DSM-diagnosed disorders. 3. Prescription Privileges. “As everyone knows, there is a politically strong movement for prescription privileges for psychologists, and a fairly intense national debate about the merits of such a development. At least in part, this is a response to the reduced demand for services as a result of managed care. The vast majority of faculty I’ve heard comment are strongly opposed to it, but obviously a great many clinical psychologists support it. If the movement for prescription privileges is successful, it would have a major impact on graduate training, as well as the field in general.” The Academy has taken no position on prescription privileges for psychologists. I believe that we must make a greater effort to differentiate between scientific and pseudoscientific clinical psychology and to hasten the day when the former replaces the latter…. Understandably, the prospect of publicly exposing the questionable practices of fellow psychologists makes most of us feel uncomfortable. Controversy never is pleasant. Public challenges to colleagues’ activities certainly will anger those members of the clinical psychology guild who are more concerned with image, profit, and power than with scientific validity. However, if clinical psychology ever is to establish itself as a legitimate science, then the highest standards must be set and adhered to without compromise. We simply cannot afford to purchase superficial tranquillity at the expense of integrity…. Most of us have become accustomed to giving dispassionate, objective, critical evaluations of the scientific merits of journal manuscripts and grant applications; now we must apply the same kind of critical evaluation to the full spectrum of activities in clinical psychology…. Clinical psychologists cannot justify marketing unproven or invalid services simply by pointing to the obvious need and demand for such services, any more than they could justify selling snake oil remedies by pointing to the prevalence of diseases and consumer demand for cures. …(S)cientific training must be the sine qua non of graduate education in clinical psychology…. Everyone seems to have opinions about what makes for effective scientific training, but such views seldom are backed by sound empirical evidence. Even where evidence exists, it may exert little influence on the design of clinical training programs. It ought to be otherwise, of course; those who train scientists should be reflexive, taking a scientific approach themselves toward the design and evaluation of their training programs. Unfortunately, the structure and goals of graduate training in clinical psychology tend to be highly resistant to change. Institutional, departmental, and personal traditions, alliances, and empires are at stake, and these tend to make the system unresponsive to logical, empirical, or ethical appeals. Training program faculty members need … to stop worrying about the particular jobs their students will take and focus instead on training all students to think and function as scientists in every aspect and setting of their professional lives…. Too much emphasis has been placed on the acquisition of facts and the demonstration of competency in specific professional techniques, and too little emphasis has been placed on the mastery of scientific principles; the demonstration of critical thinking; and the flexible and independent application of knowledge, principles, and methods to the solution of new problems. There is too much concern with structure and form, too little with function and results…. The ultimate criterion for evaluating a program’s effectiveness is how well its graduates actually perform as independent clinical scientists. Thus, program evaluations should focus on the quality of a program’s products – the graduates – rather than on whether the program conforms to lists of courses, methods, or training experiences. …(F)or clinical psychology to have integrity, scientific training must be integrated across settings and tasks. Currently, many graduate students are taught to think rigorously in the laboratory and classroom, while being encouraged – implicitly or explicitly – to check their critical skills at the door when entering the practicum or internship setting…. In my more cynical moments, I sometimes suspect that many psychologists view serious proposals for scientific standards in practice and training as a betrayal, rate busting, or breaking away from the pack. … Inevitably, a breakaway will come. Some groups of clinical psychologists will become obsessed with quality, dedicated to achieving it. These psychologists will adopt as their manifesto something similar to the one I have outlined here. When this happens, the rest of clinical psychology – all those who said that it couldn’t be done, that it was not the right time – will be left behind in the dust. Excerpted from “Manifesto for a Science of Clinical Psychology,” by Richard M. McFall, The Clinical Psychologist, 1991, Volume 44, Number 6, 75-88.